Home / Hollywood / You heard it here. / Marvel vs DC Comics Based Movies. Dr Roshan Radhakrishnan Hollywood, You heard it here. Author's note #1: This is a geek post featuring investment planning and comic books. Yes, exactly what I said. So read at your own peril. When people talk about the benefits of long term planning, I always use the example of comic-based movies. It is just a more appealing method to explain to people of my generation, instead of trying to explain the benefits of 9% compounded interest and 8% annual inflation rates, gilt and equity, stocks and bonds. So what is my explanation? Now, for this to make sense to you, I think I should place the basics on the table right now. The two chief contenders are DC comics and Marvel comics. DC Comics includes names like: Superman, Batman, Green Lantern, Wonder Woman, Aquaman, Flash, Martian Manhunter and their collective group, the Justice League of America (JLA). 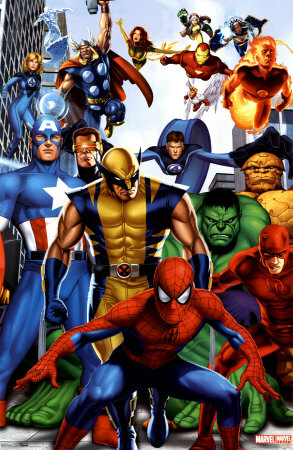 Marvel Comics includes: Spiderman, Daredevil, The X-Men, Fantastic Four, Iron Man, Hulk, Thor, Captain America and the collective group, the Avengers. Let's rewind to a few years back, shall we? Specifically 2005. The release of the much anticipated 'Batman Begins' movie to critical acclaim. News of a Batman trilogy, all directed by that mastermind among directors, Christopher Nolan. Coming up in 2006 is a Superman movie after nearly two decades. DC Comics fans rub their hands gleefully. But why would they do that? Surely, by 2005, we had Spiderman, Daredevil, X-Men and Fantastic Four movies? Why was Marvel not grinning? Answer: Because none of the above mentioned movies belonged to them. The movie rights to all these heroes had been given away to other production companies. Marvel had minimal say in the story-lines and depictions in those movies, if any at all. That's when Marvel decided to see what was left in their cupboard. Having sold their most popular franchises, they were left with just a man in an Iron suit, a Norse God with a Hammer and an 80-year old frozen hero with a shield. Hardly inspiring when compared to names like Batman and Superman that are known across the world. I'm Iron Man! Booyah ! And yet, they drew up a systematic plan with what little they had. It started in 2008 with a movie about a billionaire arms-dealer turned tech-hero with the unlikely name of Iron Man. You would have thought that they would pick up a popular superstar of that year to play him. Somebody who would bring his own fan club following to the movie screens (Did you know, at one point, Tom Cruise wanted to play Iron Man?). Instead, they used their hearts over their heads :- they chose a guy who was struggling to get roles following real-life addiction issues. 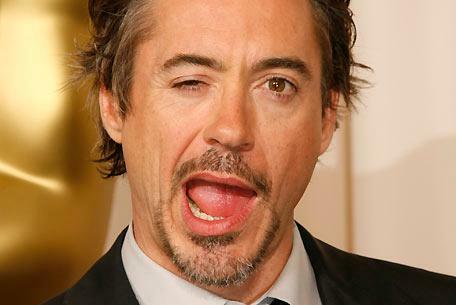 They chose Robert Downey Jr for the talent they knew he had. And that blind faith was to be the turning point not just in his career but in Marvel Comics fortunes as well. Iron Man was a huge surprise hit in 2008, thanks in no small part to RD Jr's cocky portrayal of Tony Stark. But surely Iron Man was a fluke? There was no way in hell a movie on a Norse God living in a fantasy world would appeal to us. Again, Marvel chose common sense over theatrics - relative newcomers for the key roles of the brothers Loki and Thor. A Shakespearean story based on sibling rivalry rather than simple monsters. And a link for the Gods to the planet Earth. Not an amazing movie, but a well-done movie that gave us a face and an origin story. Captain America's history based story again should have flopped... and yet it didn't. Chris Evans who had played a silly spoiled brat in the recent Fantastic Four movies suddenly transformed into an inspirational leader, armed with just a jingoistic shield. By then, Iron Man 2 had also laid the foundation for the femme fatale spy, Natasha aka Black Widow. Here's the fun part : each movie was linked to the other. Iron Man hinted about Avengers via Nick Fury. It also gave us the fan favourite agent, Agent Phil Coulson, a man with no powers who we would all root for by the time the Avengers movie was into it's first hour. The Incredible Hulk had a cameo of Tony Stark (Iron Man) at the end. Iron Man 2 hinted about the possible friendship of his father with Captain America while it's end credits linked to Thor. Again, you had Agent Coulson and Nick Fury. Thor used Agent Coulson once more as a glue linking to the Iron Man movies. It also revealed the hero, Hawkeye. Captain America showed us the relationship between the Cap and Iron Man's dad and also linked us to the present with Nick Fury. Every half-teased strand of information placed delicately in between movies, all linking up together bit by tiny bit. And suddenly before you even realised it, you were sitting in a theatre watching an Avengers Movie featuring all the above mentioned from nearly half a dozen different movies together at the same time AND you already knew their origins and motivations, even though you had not read a single Avengers comic book in your life. That was over a period of 4 years. So what was DC Comics doing in the meantime? After all, they had a head start of three years. And they had immensely popular heroes already known to every kid in the world in Batman and Superman. And yet, they failed horribly in their planning in this period. 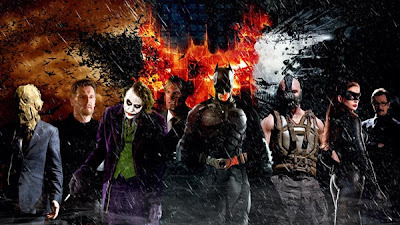 They focused all their eggs on one basket - the Dark Knight trilogy. It was a brilliant set of movies,arguably the best movie trilogy ever, but it was a closed world. There was no space for other-worldly beings or villains/heroes with super-powers. It was realistic and gritty, where Marvel's movies were pop-corn filled fun. And therein lay the flaw for DC Comics. They had no way to link the other superhuman heroes. The tepid response to Superman Returns in 2006 and absolute failure of Green Lantern a few years later left DC Comics holding onto just one prize-winning pony at the theatres: Batman. And you already knew he had an expiry date because the final installment in the trilogy was coming. Cut to today (2013). The new Superman: Man of Steel movie is as close to what I wanted Superman to be depicted as, I admit. There was a minute hint of it being the same world where Batman's Wayne Enterprises existed. But now, you don't have a Batman anymore, based on the ending of the Dark Knight trilogy (Please don't say Gordon-Lewitt. I'm talking of 'Bruce Wayne' Batman). Even on the day the Superman movie released, noone had a clue what DC Comics planned on doing next. Trying to cash in on the success of the Avengers movie, there was talk of making a Justice League movie (refer above list) but the fact is besides comic book fans, no one knew most of the characters. In the end, DC Comics finally did something right and revealed this week at Comic-Con news that sent all comic-book fans into glee: a "Batman vs Superman" movie (emphasis on 'Versus'), due in 2015. As for Marvel? In what they call their Phase 2 movies, Iron Man 3 has already released to critical success with a terrorist-based thriller. Captain America 2: The Winter Soldier is shooting as a espionage mystery movie. Thor 2: The Dark World is going to be an epic fantasy battle a la Game of Thrones. They even green-lighted a movie called 'Guardians of the Galaxy' which will feature among other things, a fighting tree and a rocket-shooting raccoon. And you know what the amazing part of that last sentence is? Not a single person is giggling at their audacity anymore. Because they giggled when Iron Man was about to release. They giggled when a Thor movie and Captain America movie was coming. They scoffed when a multiple hero project like Avengers was announced. Now, they know better than to doubt Marvel's credentials in delivering. When 2015 comes Marvel Comics will have an interlinked foundation that includes 3 Iron Man movies, 2 Thor and Captain America Movies, 1 Hulk and Avengers movie already. That's 9 movies in all. DC Comics starts at 1 as of right now, with Man of Steel marking a new beginning and fans awaiting a new, younger Bruce Wayne/Batman. When you look back from 2005 when Batman Begins released to the upcoming 2015 movies, you can't help but feel sorry for DC Comics. They had every chance to build their own world on cinema and overtake their main rivals. There are a few key investment lessons to learn from these comic book moghuls. 1) The value of long-term planning. Marvel Comics planned their entry into movies. Each movie had a separate storyline, yet allowed itself to link to the next. It helped do something never before seen on the big screen - link movies by different directors featuring different heroes and villains all into the same movie universe. 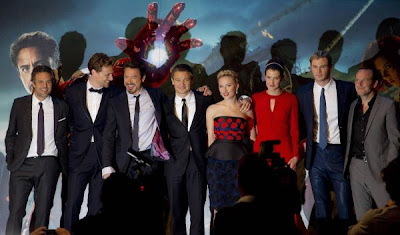 The coming movies carry on from there, once more linking over the coming two years to 2015's Avengers 2: Age of Ultron. Already, they are discussing the movies for Phase Three of their plans. DC, atleast as of now, has shown no clue on how to launch the rest of their superhero franchises or how to introduce a Justice League movie. Any such plan is dependent solely on the success of their lone 2015 movie. 2) Don't place all your eggs in one basket. 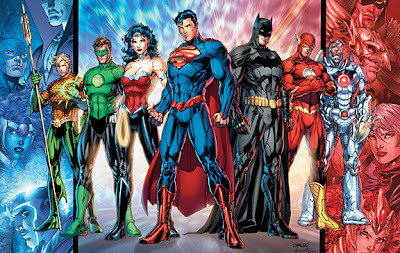 DC Comics could have systematically introduced their more fantastical heroes like Flash, Aquaman, Wonder Woman et al. Instead, they ran around in circles focusing on their prize-hitters rather than consider making winners of the others. In 2005, with the exception of comic book geeks, no one in India knew an Iron Man, a Captain America, Thor, Hawkeye, Black Widow, Loki or Avengers. Today, they are the movies the multiplexes eagerly await to fill all their shows with. 3) Believe in your product. To have faith that people will come to watch a movie about a man with a hammer or a shield, you need to have more than star-power. You need a good storyline. And as the titles of Phase 2 movies have hinted, Marvel has chosen the best place to get their stories from... their own successful comic books. DC Comics have some tremendous story-lines within their pages, featuring their heroes individually and as a team. Yet, they can't move forward with them because they still haven't introduced their characters even after a decade. 4) Spot your winners early. Marvel used a nice combination of proven talent and nurtured talent. Established stars include the likes of Samuel L Jackson, Sir Anthony Hopkins, Ben Kingsley, Guy Pearce, Rene Russo, Scarlett Johansson, Gwyneth Paltrow, Don Cheadle and Jeremy Renner. But the key roles were allotted to stars still on the rise (R Downey Jr's second innings to be considered here) with Chris Evans, Mark Ruffalo, Chris Hemsworth and Tom Hiddleston playing all the key roles. The DC stable has just the star cast of the new Superman movie for now as they choose to revamp Batman once more for the big screen. It's admirable with Kevin Costner and Russell Crowe alongside a very convincing Henry Cavill as Superman, but it pales in comparison to the star cast above. Authors note #2: I know this seems like a silly comic book fan rant. But doesn't it all make sense when you think of it? Isn't there really a life-lesson on the benefits of long term planning within the hidden story behind these comic-book movies? I really would like to know what you think of it. Interesting analysis, though I suspect that Marvel also benefited from not having any "heavy-hitters" in their list. When you put a Superman or a Batman in a movie, there's so much expectation (and baggage) that there's not enough room for an ensemble cast along the lines of the Avengers. Audiences are happy to see Cap. America or Iron Man get 1/7th of the screen time, but when they go for a Superman or Batman movie, they want to see them in almost every frame. So it's a combination of two things --- DC having two big guys who would hog space and Marvel having relative no-bodies, which gave them the room & bandwidth to experiment. Very true. Not having their big guys worked in their favour, ironically. I never expected a Captain America or Thor movie to do well at all, frankly. Conversely, I anticipated Green Lantern would have been a big success and be a great way to link super-power based heroes with Batman. That movie, instead deservedly is avoided in all DC movie conversations. In an ideal scenario, I would have hoped to see good similar linked Flash/WonderWoman/AquaMan movies.. but starting 5 years earlier ! Now, the wait for all those movies leading to a JLA movie would take us into the next decade. So I would say , go with a JLA movie immediately after the Superman-Batman combo. Like the X-Men series, hit the ground running with the team already established and facing upto the big bad and let the audience figure out team dynamics and powers as the story goes. It worked with X-Men, why not here? Good points and very to the core. I too wouldn't count TDK trilogy in the 'count' so while DC has just 1 movie now while "Marvel" does have 19 of the 'newer' beginning. In honesty, X-Men and Spider-Man started it all while Batman Begins was the real game changer (and the subsequent ones defined 'perfection' if such a word is to exist) Despite some bad movies (read Iron Man 2/3 and Thor) the bigger picture is still a big treat for comic lovers. True. This next movie from the DC stable... this is the key. No matter what, they need to get it right. There is no other alternative. They have wasted a decade to reach here. They still haven't figured out a way or a director to consider other superhero stories from their stable.. like in the case of MOS, they are awaiting the success of this new movie before deciding where to go next. The Justice League Movie is a long way away as of now. 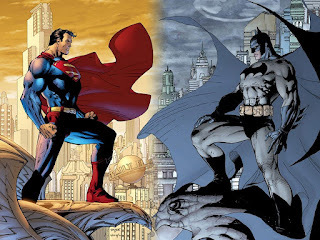 The only cannon ball in their artillery as of now is this Batman vs Superman thing in 2015. By then, Marvel Starts Phase 3 of their movies after finishing the second Avengers movie. I have always been confused with the whole 'DC Comics' vs 'Marvel' thing, Now, I'm so grateful to you for clearing that up. Answers so many of my questions :-) And I agree, Robert Downey Jr. didn't seem like much, but he was perfect as Iron Man. True. Noone really had any expectations with RD jr and Iron Man in general. That worked out brilliantly because he can be a very good actor .. his issues were all off-screen related. Very interesting post, Roshan. You could use this as a chapter with management students. As someone in the above comments said, rather than a few big weights, you have a number of welterweights working together with the super glue called S.H.E.I.L.D. As a result we are left with wanting more of the Avengers. Aren't there too many instances in history, where a no hoper becomes a top grosser! The most famous of the Marvel heroes, Spidey, was sold to Sony! True Adel. So many instances of the underdog beating the obvious winner. I just felt that this was one that not many noticed. And yes, the only really famous one for Indian audiences who aren't regular comic fans was Spiderman and he had already been given away years ago. And you may get your wish. From what I remember reading, Daredevil's rights revert back to Marvel by 2014 if no movie is under production (which is the case) But I also know that as of now, there is no place for Daredevil in Avengers 2. Ideally, I would have loved to see him rebooted too - again, linking him to this universe in some way. Wow, thats some research you do there! Fingers crossed for DD! As we speak, more and more names are being dropped in that movie.. Wonderwoman, possibly even Doomsday, though I dont know how they will tell so much in a single storyline.